UAE-based Imdaad has signed an agreement with Port, Customs and Free Zone Corporation (PCFC) Hotels to provide hard facilities management (FM) services at the iconic Queen Elizabeth 2 (QE2) now docked permanently at Dubai’s Mina Rashid. A leading provider of integrated, sustainable FM services that enhance operational efficiencies of physical assets, Imdaad said this contract win highlights its commitment to contributing to the growth of the UAE’s hospitality sector. As per the deal, it will offer a range of hard FM services at the iconic hotel, including the maintenance of building management system (BMS), mechanical, electrical and plumbing (MEP) works besides heating, ventilation, and air-conditioning (HVAC), as well as fire alarm and firefighting systems. The company will also provide pest control, sewage collection, and waste removal services, among several others, it stated. 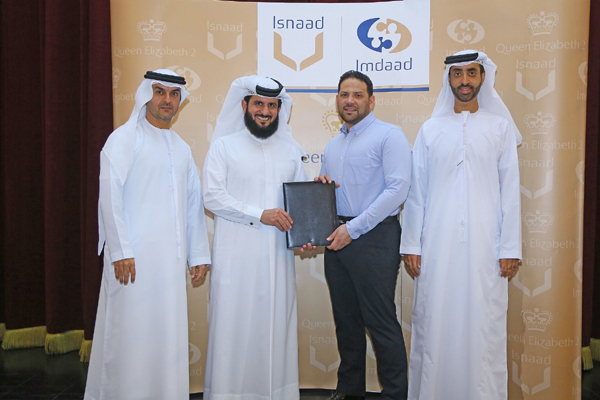 Isnaad, a subsidiary of Imdaad that provides a comprehensive range of soft facility management, manpower supply, and specialised cleaning services, also signed a contract with PCFC Hotels to offer a comprehensive suite of Soft FM services at the hotel facility. Isnaad had earlier assisted QE2 during its launch. It will now offer soft FM services that include back-of-house cleaning and public area cleaning, in addition to providing room attendants at the facility and specialised services such as glass and external facade cleaning with rope access and cradle. On the contract win, group CEO Jamal Abdulla Lootah said: "With the addition of the Queen Elizabeth 2 to our ever-growing portfolio of prestigious clients, we have reinforced our leading position in the region’s thriving FM industry." "The contract agreement with the hotel to provide hard and soft FM services falls in line with Imdaad’s long-term strategy to deepen its presence across industries and reinforces our commitment to playing an instrumental role in the advancement of crucial sectors of the country in order to accelerate economic growth and development," stated Lootah. "We look forward to working with our partner to enhance passenger experiences at the floating hotel facility," he added. PCFC Hotels CEO Hamza Mustafa said: "At QE2, our main priority is to provide exceptional services that meet the best quality standards to create truly unique and memorable passenger experience. With its strong track record and reputation in the facilities management industry, Imdaad was a natural choice for us as we sought a partner to offer Hard and Soft services at our facility." One of the world’s most celebrated ocean liners with a storied history spanning almost 50 years, the Queen Elizabeth 2 is now docked permanently at Dubai’s Mina Rashid. Converted into a 13-deck hotel, the leading tourist attraction offers a selection of modernised rooms and suites in addition to an array of diverse dining outlets and meeting and events venues.